Like many others, the compromise of self is what lead Moby to clean up: "Not drinking and not doing drugs is just the first step – the rest of it is coming to an understanding of yourself, the people around you, the world in which you live. "Looking at the unjustified assumptions that you probably carried with you since childhood. Alcohol and drugs make you do a lot of things that are not in line with your beliefs. More often than not, you can lose your way. You have to find it again." 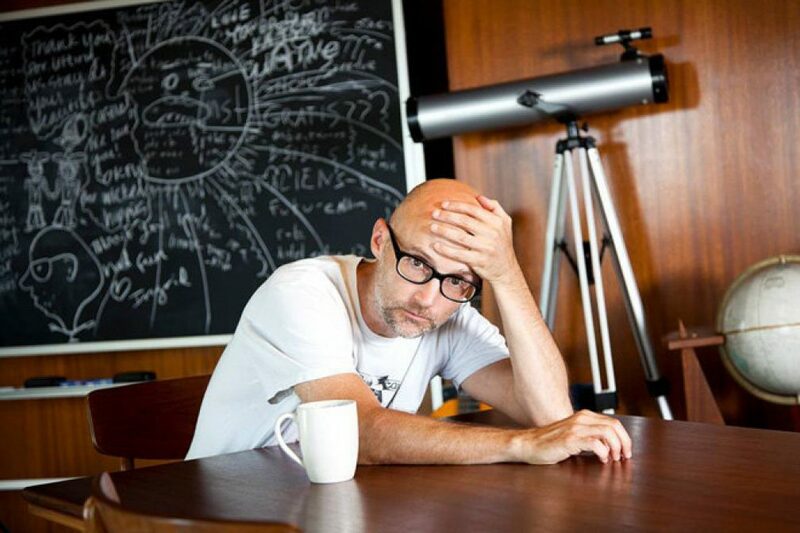 It's been a while since Moby has toured the world, but that doesn't mean he hasn't taken note of the countless new talents being pushed into the downward spiral he once found routine. He's been incredibly open about issues of wellness, hoping as many people as possible stumble upon his words. But the humble star is adamant that no young, fresh artist would earnestly take his advice. "My hope is that people have the ability to stop doing things that are harmful while they still can. The consequences catch up very fast and before you know it, it can be too late." The artist is genuine in his concerns as he's seen it first hand. He quietly cites all the times drugs have taken over his friends' lives, worrying that most people do not recognize the danger of toying with mind-altering substances. And yet, after decades of being Moby, if there's one thing he's learned it's that everyone must fall before they rise up. It's a sad realization that absolute happiness might not exist without complete anguish. Moby takes a long pause, a moment of reflection before he closes. A rooted sigh echoes the bittersweet reality of his next chosen words as he whispers: "The truth is: Everyone has to bottom out".